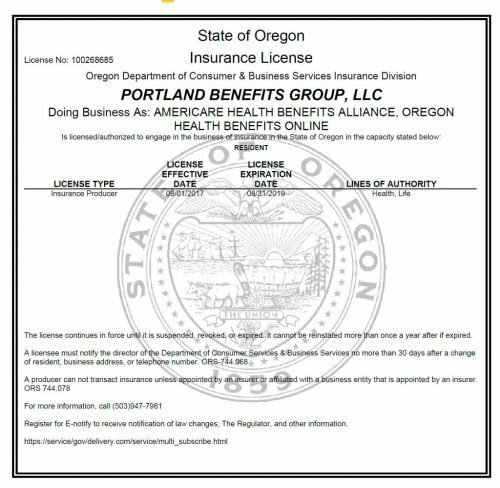 Would You like a quote from Portland Benefits Group? Fill out this form for a free and accurate quote and thank you for shopping here. Call 503-828-1970 To discuss your insurance situation with one of our licensed agents. Using an agent is free to the consumer. Rates are set by law and there is no difference in the cost of your insurance whether you use an agent or not. We hate SPAM and promise to keep your information protected.